In the competitive world where entrepreneurship is so wide and getting larger day by day, you need to make some strong strategies to be sure about your success. Now things have been advanced and not only for the entertainment world but also for the business world. Especially for the small businesses, it becomes must to improve productivity through advanced business tools. Business software has made many business solutions to increase profit and productivity. The most imperative thing is to have some idea about these trendy business techniques that can help you to improve your business planning. Nowadays, there are many business tools are available that are strong enough to make a business success as well as easier. In a business, there are many things that should be managed and maintained hence you need to use a perfect alternative for it. As you can see, many large businesses are using advanced tools and software to increase their management level and make things easier. However, this is the best way to manage time as well as a financial statement of your industry. To decrease manpower and save time, using business software is the best strategy. Not only for time and money but also for accuracy and speed, this is must to ensure such things through a perfect alternative like business tools. 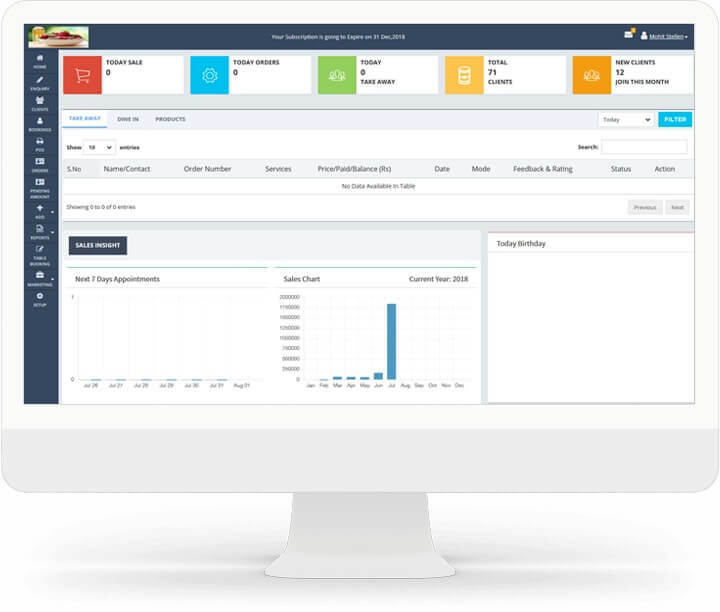 Management Software has smart features and latest functionality where you can link your business management things and control remotely. Moreover, you don’t have any need to pay more attention to it just let it be on your management software. Now we are going to discuss something important that can be beneficial for your business. We have a list of top useful business software that you should know. Read the below information for further details. 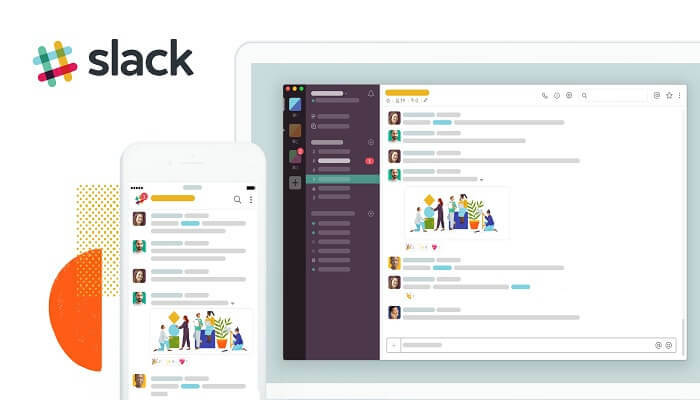 Slack is a team communication tool that helps in team management and communication. Using it, you can easily make a better communication with your team members and make them comfortable. It allows you to create groups and for individual communication. Moreover, you can share your imperative documents with them and you don’t have any need to meet personally for it. So, we can say that it is a great alternative to manage team communication in a better way. 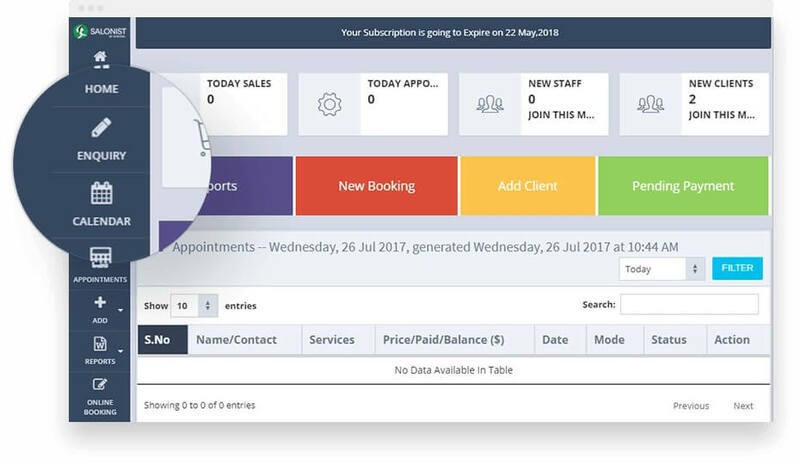 Salonist is a CRM softwares for small, big and medium salon businesses. CRM term refers to customer relationship management where you can store all your customer contacts and recall it whenever it needed. If you are running a business then it could be harder to manage customer contact details such as name, address and phone numbers etc. However, many small businesses prefer a notebook or anything else to manage such things. If we talk about the improvement, you should start from the basic. And this is one of the basic things in a business that should be managed. By using CRM, you can easily store your customer details and easily get it when you want to cross check or recall for work purpose. For all businesses whether it is small or large, business communication is an imperative task and it should be done in a proper manner. When it comes to hiring employees for work, it will take a long time that can delay your work. Upwork is the foremost business tool where you can contact independent contractors. Using it, you can make yourself relax for team management and tasks. Furthermore, you can track your work from your own location. You don’t have any need to keep eye on their work. One more tool by Google which is required to fulfill your business needs. If we talk about small businesses, it would be a great alternative as Google built it to serve the total range of functionality for your business. Nowadays many business companies are using GSuit where you can purchase a domain, track analytics for your site, set-up email client, and much with the application only in GSuit. It is basically designed for your workplace with several business benefits such as all the storage you need, professional email service, mobile device management, easy data migration, advanced admin controls and many more. Usually, all companies need employees to achieve business goals but sometimes hiring employees might be complicated. Especially for small businesses, it would be difficult to conduct background checks, reference checks, identify verifications, skill checks, driving records checking and much more but these things are necessary. Using Good hire, you can easily do such things without any paperwork. Just a few clicks required for this process even you can complete it with your mobile device. If we take a look at HR management, it is a little complex and pepper heavy work. Moreover, many business industries looking to transitioning their HR management work to advanced all in one platform. GoCo is one of the best platforms and the combination of perfection and ease which can help you to reduce paperwork stress and provide accuracy. However, it provides internet-based management services such as document management, administration benefits, time-off tracking and many more. Hence, it is a beneficial tool designed to delight your experience. When we think about increasing the productivity, phone call and communication both the things come at the top. Telzio is one of the most trending platforms helps in office phone system setup. Using Telzio, your team can easily manage phone call as well as messages using their devices from any location where they are. Moreover, it is combined with the web interface offers many business benefits including free user and extension dialing, unlimited calling, local and international numbers and much more. For the small businesses like restaurants, Sparks Resto is a helpful tool that offers various features such as analytics, customer management, kitchen order management, online order management, real-time monitoring, table bookings and many more. This is the foremost chat tool which is the best task management platform. It has the ability to create various add notes, boards and cards, set due dates and much more. It allows you to keep track of the assigned tasks in a simple manner. Moreover, you will get a variety of plans and free setup for individuals. Definitely, you will like a bunch of benefits. When it comes to choosing the best tool for a better and new way to acquire retain and engage customers, you should choose Intercom which is the best marketing and support platform having high demand. Use the best and required tools in your business to make things better and easier. These tools will help you to ensure the success of your business. Choose the best way to increase productivity. Guest Author: Julia Ching works as a writer for Salonist – Hair Salon Management Software. She is a web addict and spends too much time in front of the computer. When she manages to get away for more than 10 minutes, she will read books, travel or shoot photos. Follow her on Facebook, Twitter, LinkedIn and Instagram.